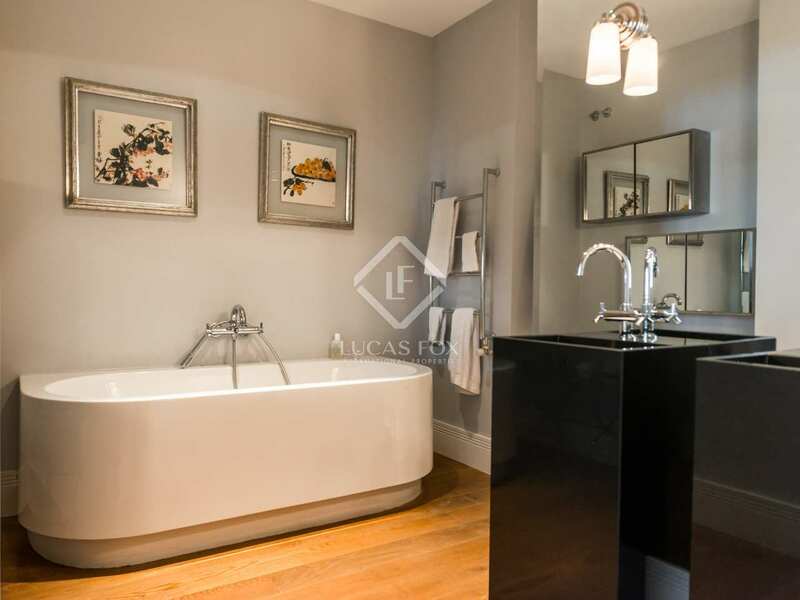 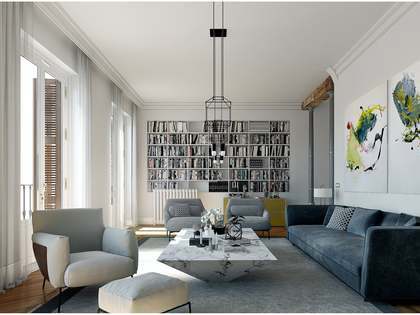 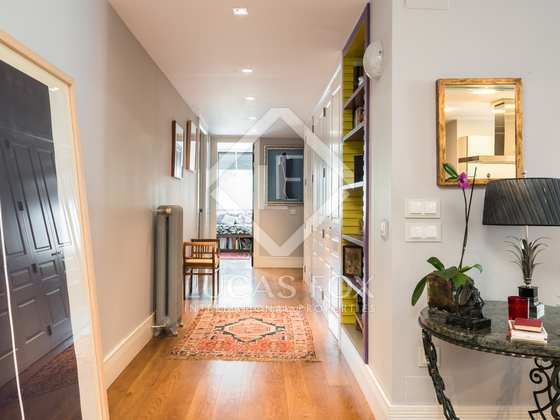 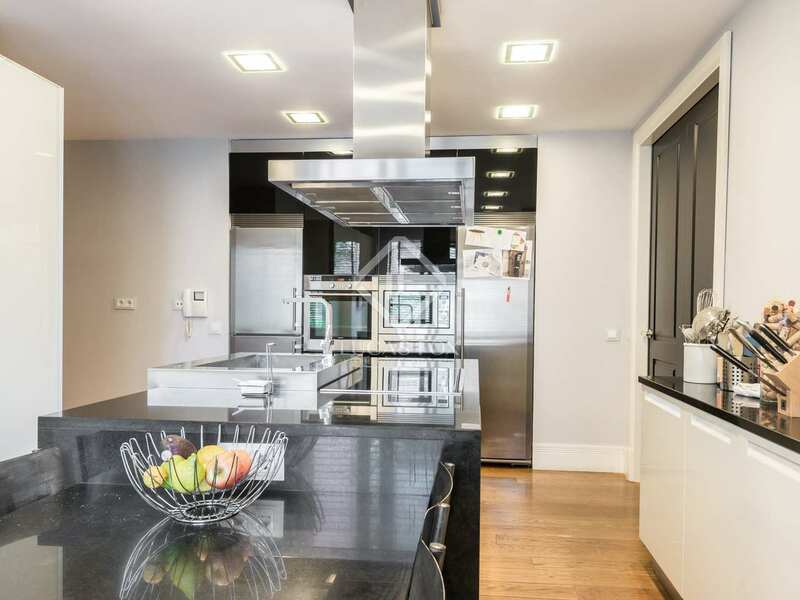 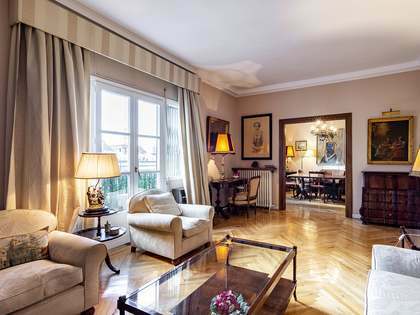 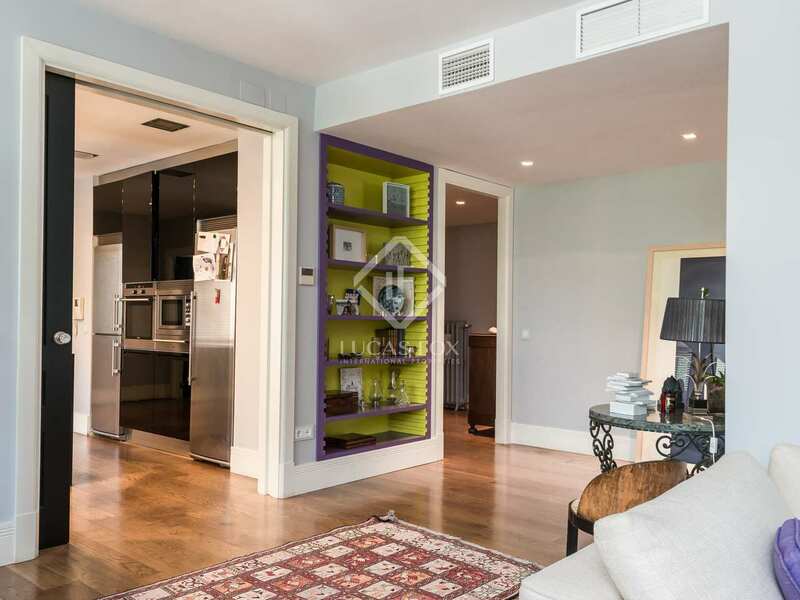 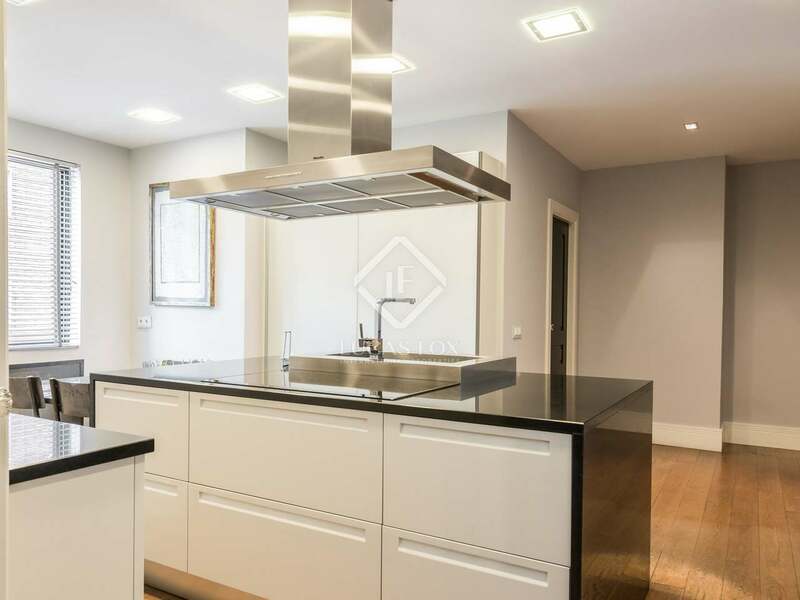 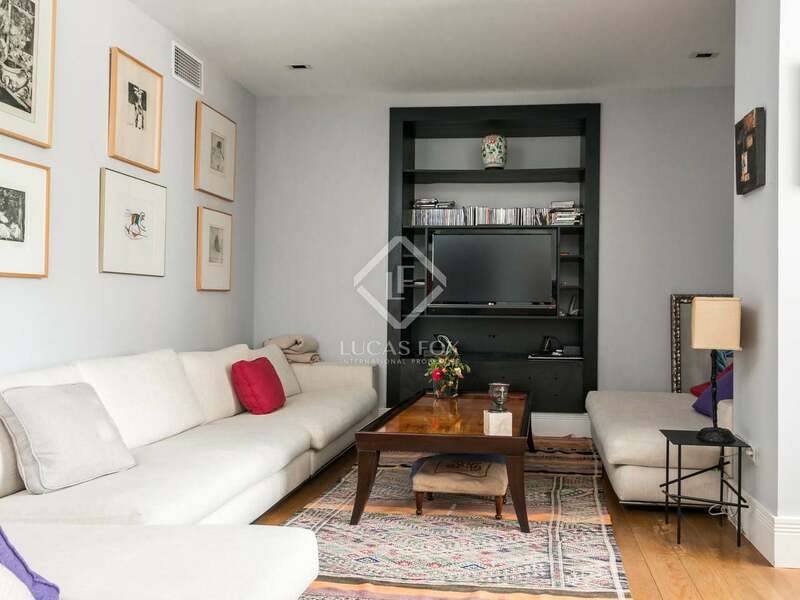 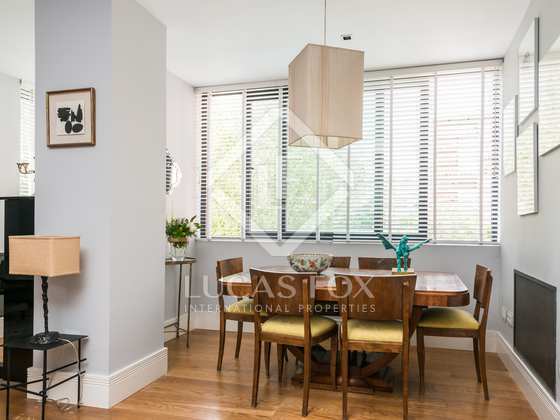 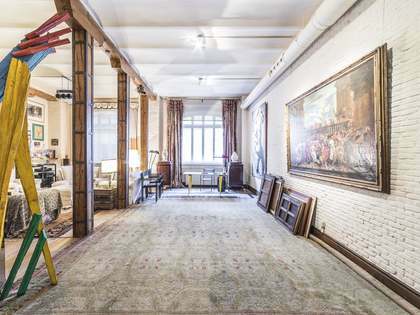 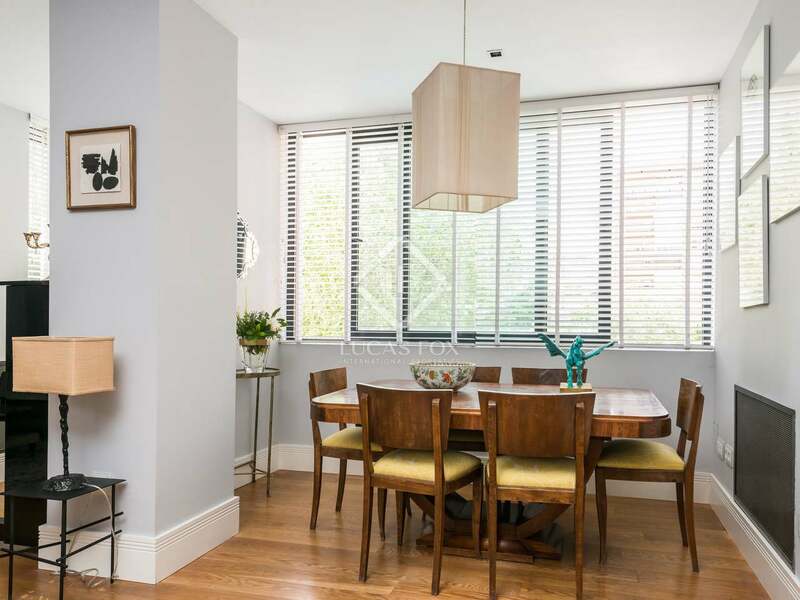 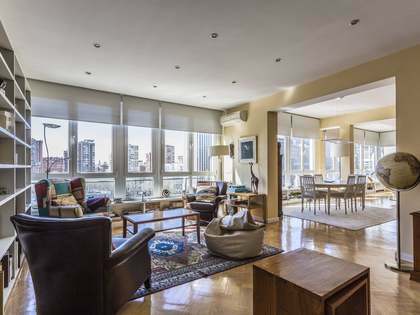 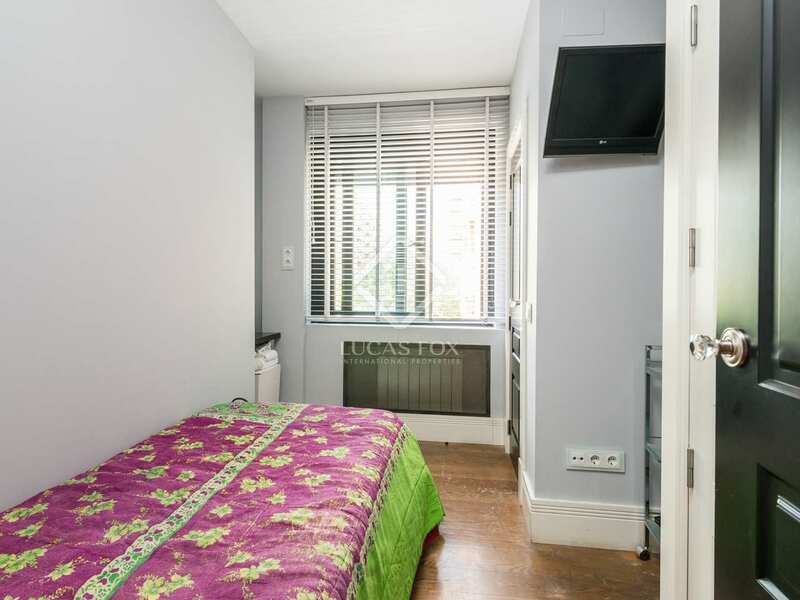 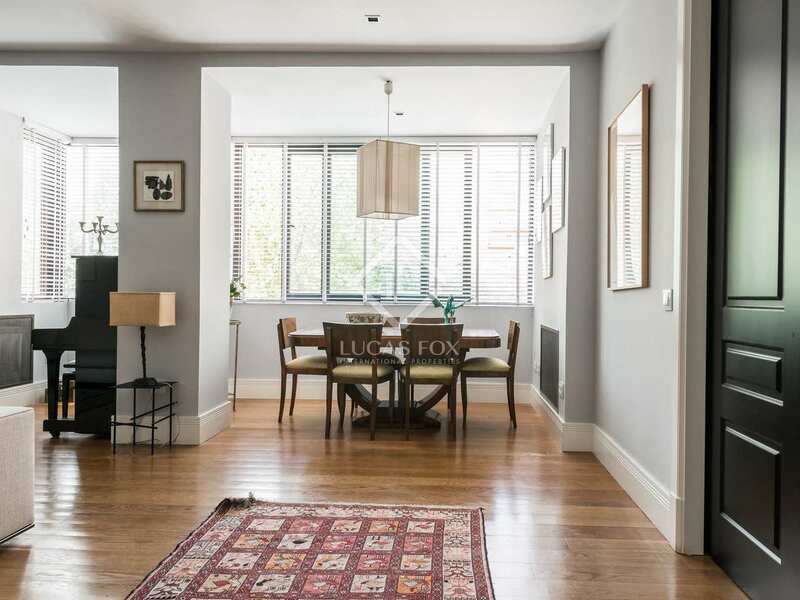 Renovated just 5 years ago, this beautiful property boasts tasteful, high end finishes and enjoys a wonderful location near Paseo de la Castellana yet on a peaceful pedestrian street with views of the trees that surround the building. 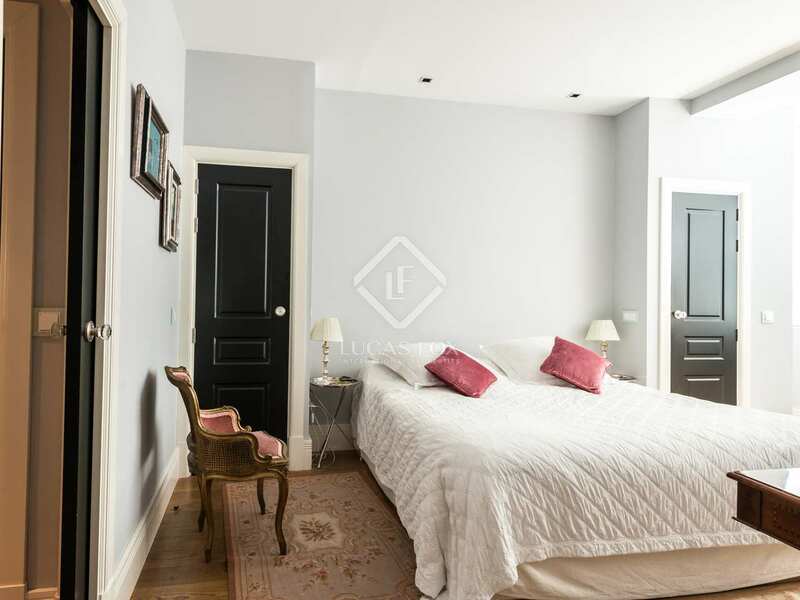 The layout has been very well planned. 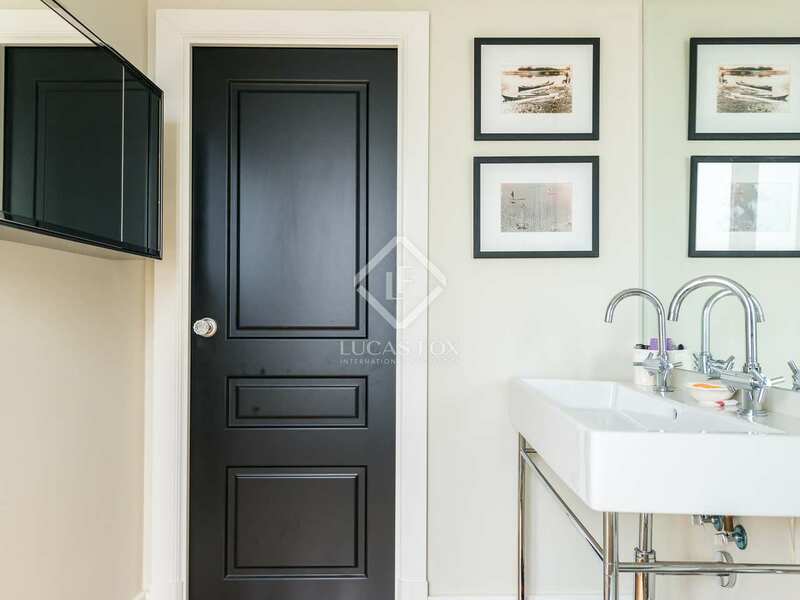 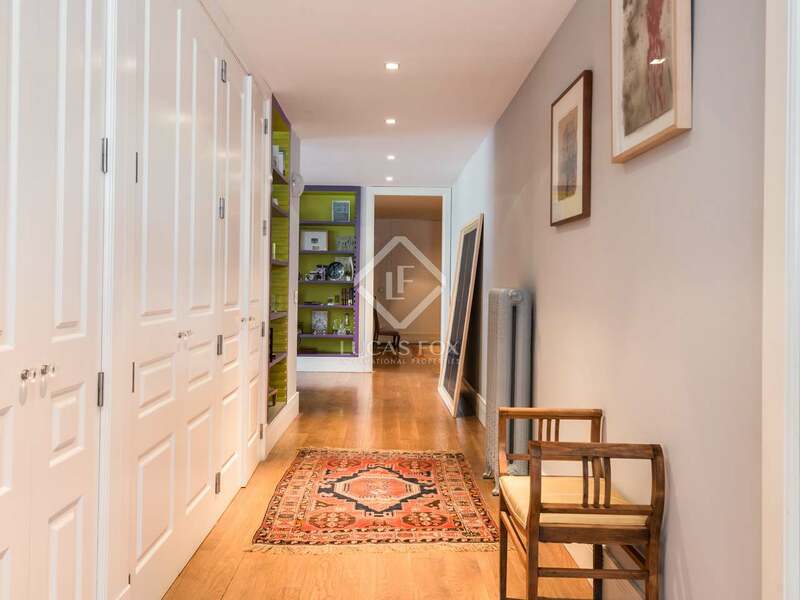 The entrance hall leads us, via a hallway with a guest toilet, to the sunny, spacious living and dining area and the kitchen with its complete service quarters, utility area and separate entrance from the kitchen. 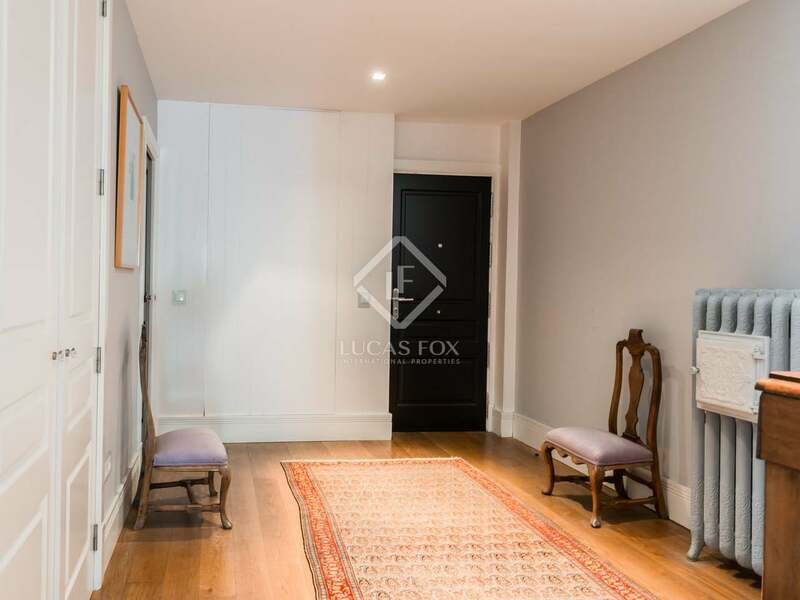 The night area is separated from the rest of the property by a wide corridor which is lined with fitted wardrobes. 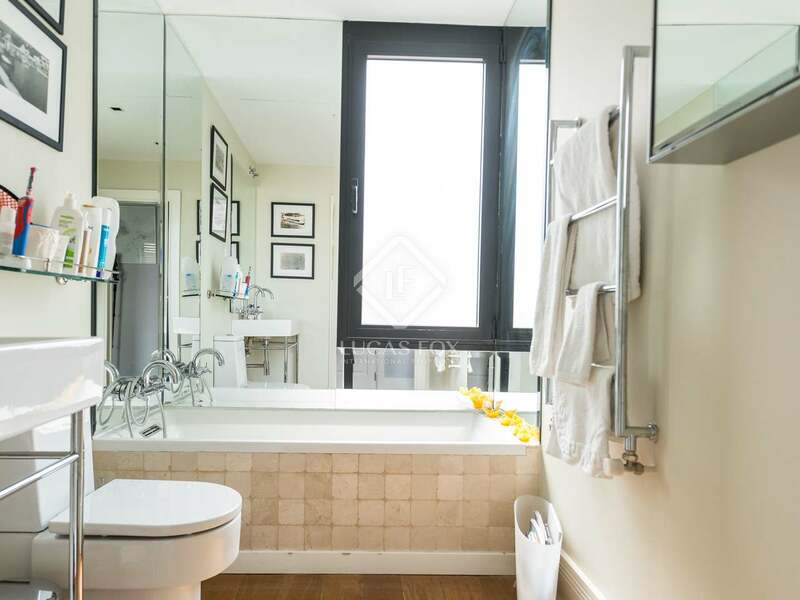 There are 3 en-suite bedrooms which are south facing and receive abundant natural light. 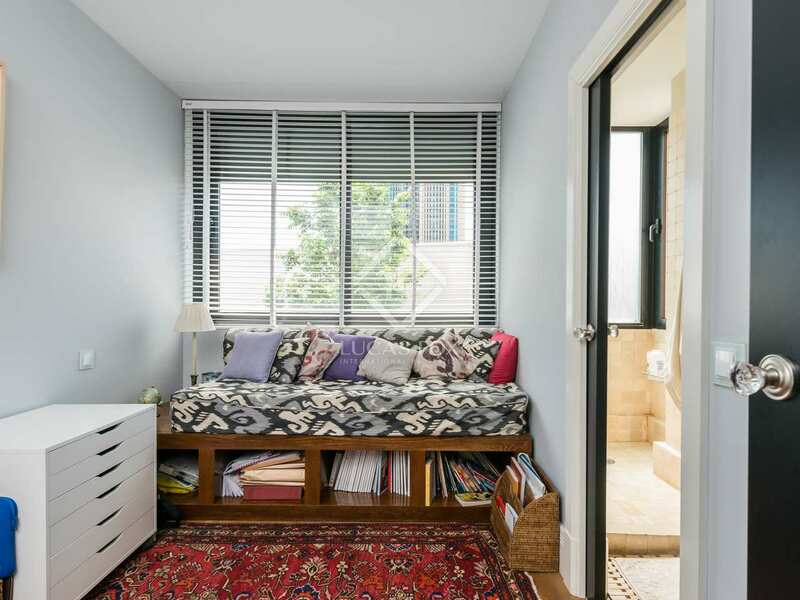 The property is being sold with an outdoor parking space in a parking area that is only accessible for residents. 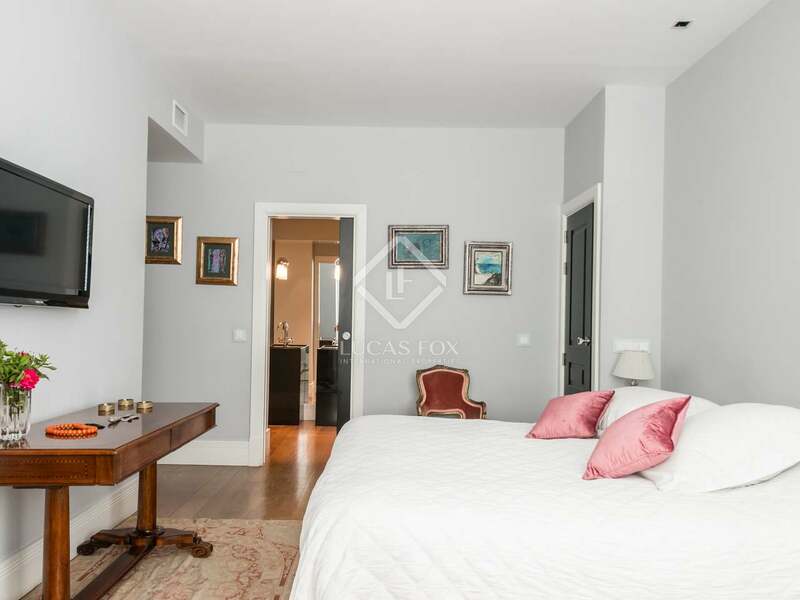 A perfect family home or ideal investment for anyone looking for a property in an excellent location next to Paseo de la Castellana. 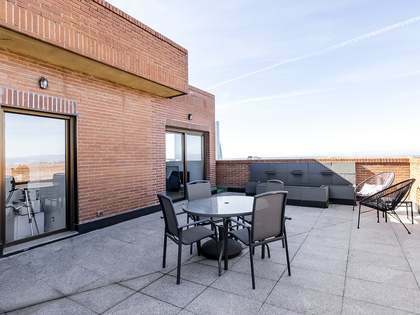 Propety located in Plaza de Manolete, a little pedestrian square in front of Bernabéu Stadium and next to Paseo de la Castellana but far from the traffic. 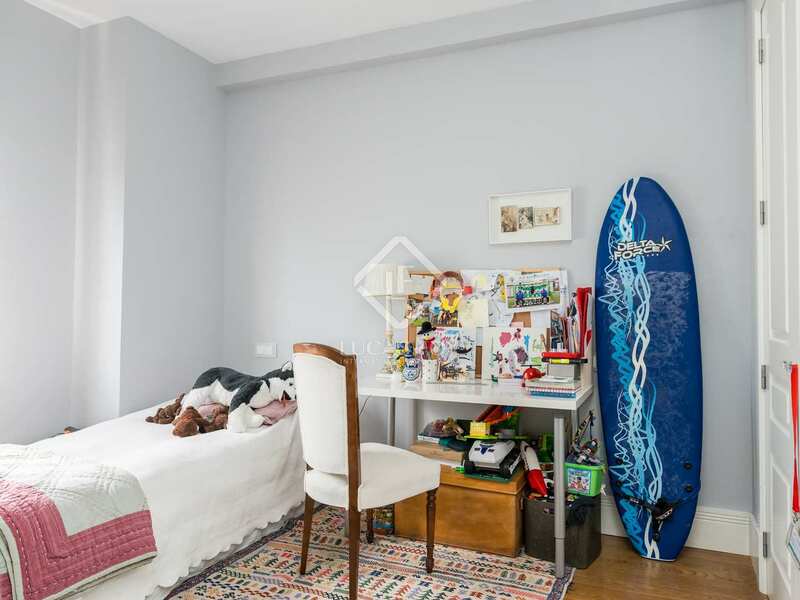 Santiago Bernabéu metro station is nearby as are various shops, international schools, bus lines and restaurants.